Dell PowerEdge R210. Condition is Used. Storage: 2 x Dell ST373207LW 73GB SCSI 3.5" 10K Hard Drive HDD DP/N: R9288. Model No: PowerEdge 750. Floppy Disk Drive. In Good Condition, Full Working Order. Model: G6W6K. The images used are for illustration purposes only. DELL PowerEdge R710 - GOOGLE APPLIANCE. Remote NIC. Only high quality products. We are here to help! Drive Capacity. Optical Drive. Other EU countries take slightly longer. What do I do if I have not received my order when expected?. 1x Dell 2U PowerEdge R720 CTO CHASSIS ONLY. 8X 3.5" BAYS WITH 3 BLANKINGS NO CADDY. You may be asking what is the point of this server?. PERC H710P MINI WITH BBU 512M CACHE. Sale is for one unit, we have many available. Model: PowerEdge T620. RAM: 32GB (8 x 4GB). OS: Windows Server 2012 R2 COA on case. Manufacturer: Dell. Storage: 2 x drive caddies supplied (no drives installed). International Orders. This is a used item. Dell PowerEdge R710 Xeon X5675 3.06GHZ SixCore 32GB DDR3 PERC 6i 2x 750GB 3.5"
DELL PowerEdge R710 X5675 3.06Ghz 32GB DDR3 1.5TB 7.2K HDD 3.5" VMware. 1 x Xeon X5675 3.06Ghz. DELL PowerEdge R710. 2 x Xeon X5675 3.06Ghz. Perc 6i 256mb Cache & Battery. Perc 6i 256mb & Battery. 32Gb ( 8 x 4GB ). 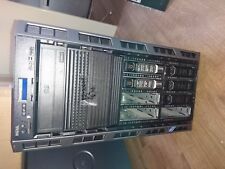 DELL R630 Poweredge 8*2.5" E5-2620, 32GB , 2x750W, H730 VAT Inc!! 12 month RTB WARRANTY! Make/Model Dell Poweredge R630. warranty is provided by Ace Computers LTD. 113 Brownmoor Lane. 5 out of 5 stars - DELL R630 Poweredge 8*2.5" E5-2620, 32GB , 2x750W, H730 VAT Inc!! 1 product rating1 product ratings - DELL R630 Poweredge 8*2.5" E5-2620, 32GB , 2x750W, H730 VAT Inc!! NEW 750Gb SATA 2.5" 7.2k hot plug drive. Dell PowerEdge 1950 II 1u Rack Mount Server. Rack Mount Rail Kit. In very good condition and in full working order. DELL PowerEdge R730XD 2x E5-2620v3 6C @ 2.4GHz 64GB DDR4. DELL PowerEdge R730XD 2x E5-2620 V3 6C @ 2.3GHz. 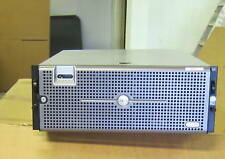 -RAID: Perc H730. -Rails: Inner and outer rails included. 2 x 750Gb hot plug drives. Dell PowerEdge 1950 III 1u Rack Mount Server. PCI-E Riser Card. Rack Mount Rail Kit. 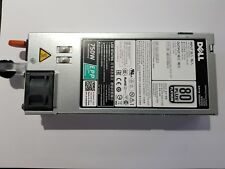 Dell 750Gb Hot Swap SATA 7.2k Drive 3.5". For all Dell PowerEdge servers and PowerVault storage arrays with SAS/SATA drive bays. PowerEdge 2950 1950 6950 R900 R710 R610 MD1000 MD3000i and all other Dells with 3.5" SASATA Drive bay. NEW 750Gb SATA 2.5" 7.2k hot plug drive. Dell PowerEdge 1950 II 1u Rack Mount Server. Rack Mount Rail Kit. In very good condition and in full working order. Comprising this full Specification. DELL Poweredge Servers. Dell Poweredge 2850. Dell Poweredge 1950. Dell Poweredge 2900. Dell Poweredge 2950. Dell Poweredge R200. Dell Poweredge R410. Dell Poweredge R510. Dell PowerEdge R720 Xeon E5-2650v2 2.60GHz 192GB DDR3 4x300Gb 10K Perc H710 iDRAC7 - Max Turbo 3.40 GHz. 192GB Installed. DELL Poweredge Servers. Dell Poweredge 2850. Dell Poweredge 1950. Dell Poweredge 2900. Dell PowerEdge R720 Xeon E5-2650v2 2.60GHz 192GB DDR3 5x300Gb 10K Perc H710 iDRAC7 - Max Turbo 3.40 GHz. DELL Poweredge Servers. Dell Poweredge 2850. Dell Poweredge 1950. Dell Poweredge 2900. Dell Poweredge 2950. Dell PowerEdge R720 Xeon E5-2650v2 2.60GHz 192GB DDR3 8x300Gb 10K Perc H710 iDRAC7 - Max Turbo 3.40 GHz. DELL Poweredge Servers. Dell Poweredge 2850. Dell Poweredge 1950. Dell Poweredge 2900. Dell Poweredge 2950. 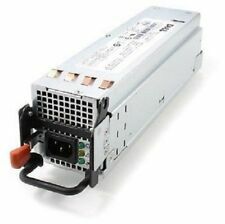 2 x 750W Hot plug power supplies (1 used for redundancy). 8 x 2.5" drive slot chassis (supports SAS or SATA drives). Rack Rails.